studio smc photography | Sandra Costello: Is today Monday? So what do you do on days like this? I try to make a list and work as hard as I can to cross stuff off it. My neighbor says he highlights three things on his list that have to get done before the sun goes down. I thought three was a reasonable number and have taken this approach to my own daily list. I have checked off two of the three items from my list today. The third is a fun one and I can't wait. I have been a part of a bowling league and tonight is our last night. We bowl every Thursday and while I'm still not great, I do think I've gotten better. So before I sign off I will leave you with a photo from the next wedding I plan to post. 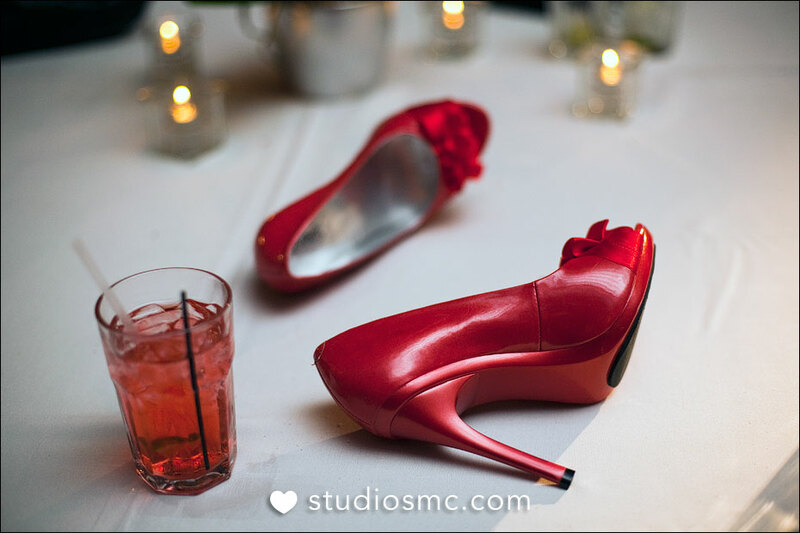 It was a fabulous party and I think these shoes represent the spirit of the night. Enjoy!